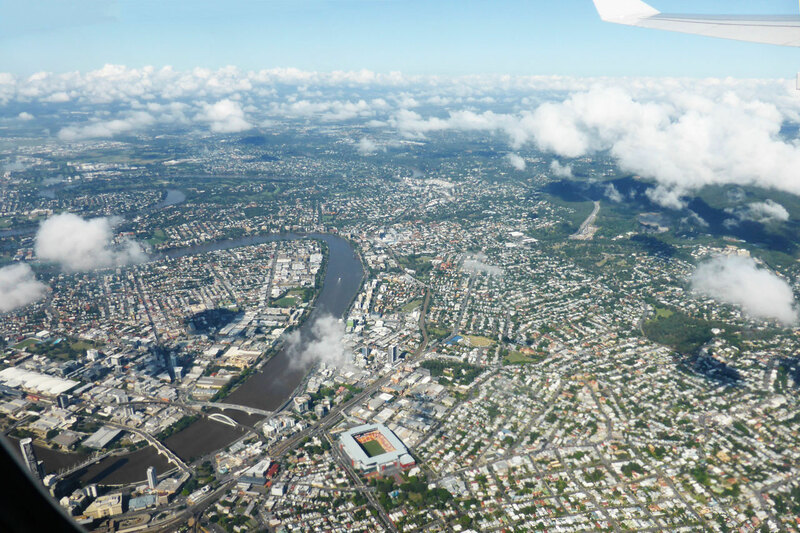 The most direct route from Brisbane, Australia, to London, UK, is a great circle route that passes a few hundred kilometres west of the Korean peninsula, and then passes into the Arctic Circle and over Mongolia. We pretty much flew this route with Korean Air, not because it is the most direct route but because it kept us away from the Middle East (which has since proved to be a good thing to avoid, even if we did land only fifty kilometres from North Korea instead), and because Korean Air gave us a nice stopover in Seoul, to break up the long journey. The weather flying out of Brisbane airport was beautiful – clear skies with a smattering of white, puffy, clouds below us. Here's a picture of the Brisbane River cutting between Southbank and West End on the left, and Milton and Toowong on the right, with the CBD just out of view off the left of the picture. 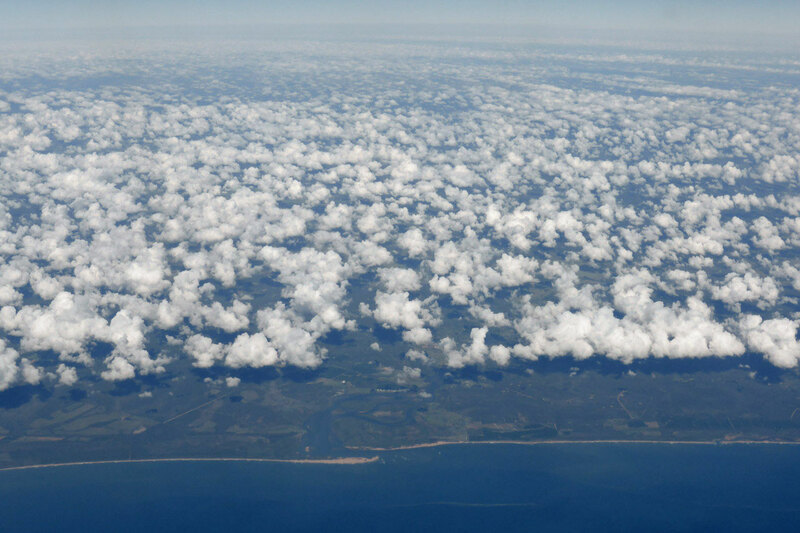 As we flew up the coast of South-East Queensland beautiful white fluffy clouds covered the land. 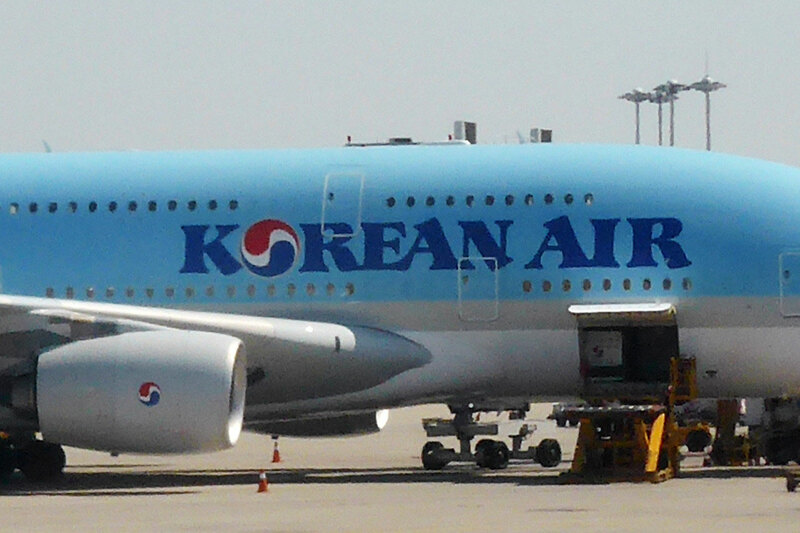 Seoul is just a little west of due north of Brisbane, so the flight path took us out from the coast of Queensland and up through the Great Barrier Reef. 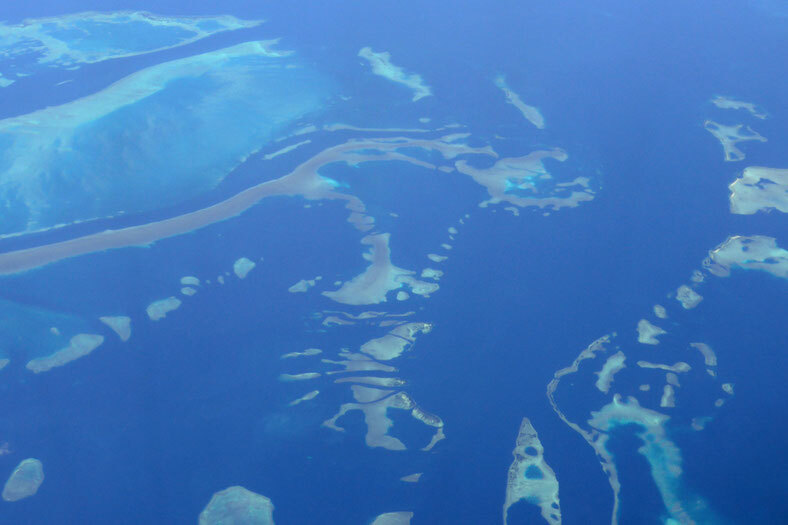 The Great Barrier Reef is a beautiful blue-green Jewel and is a place that I journeyed to as often as possible years ago; flying over it on this trip is an absolute bonus! 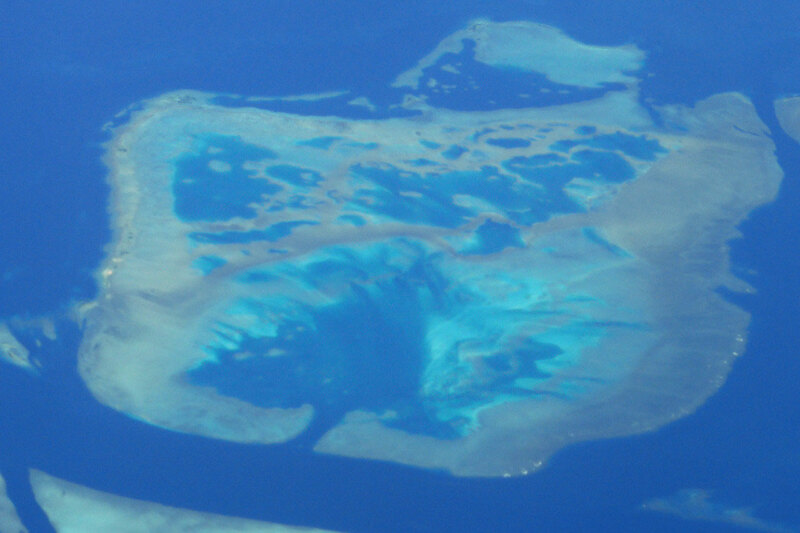 My first camping trip to the Reef was to Masthead Island, which we flew over. 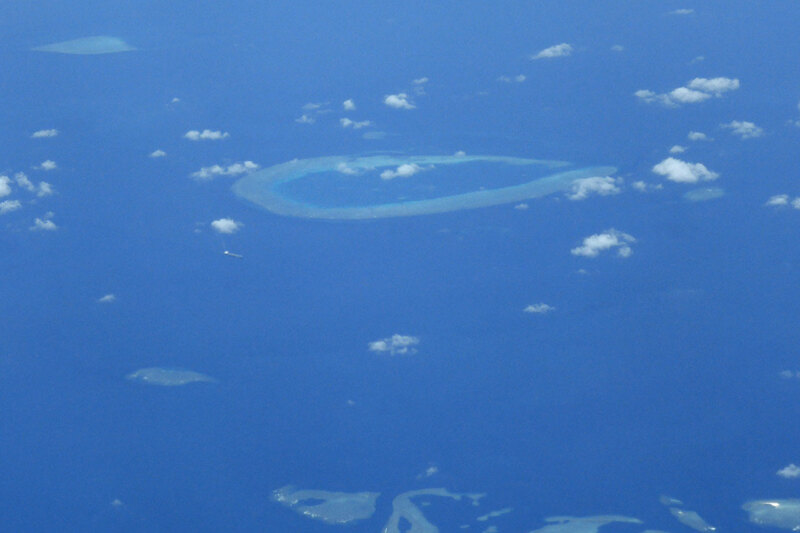 It's the island on the reef in this picture, with Polmaise Reef above it. 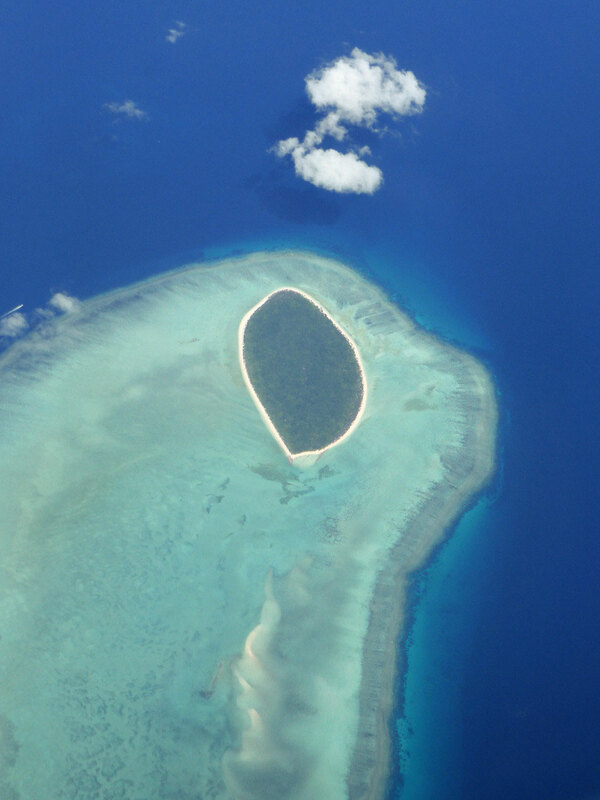 This is another island on the Reef that I camped on years ago that we flew over: North-West Island. 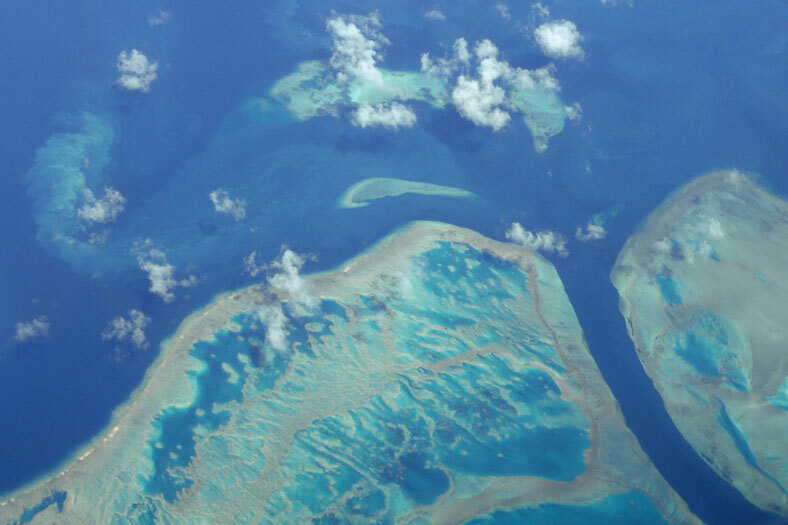 Further north, the Reef changes to an intricate maze of channels and atolls, with many complex shapes and patterns, all in beautiful colours. 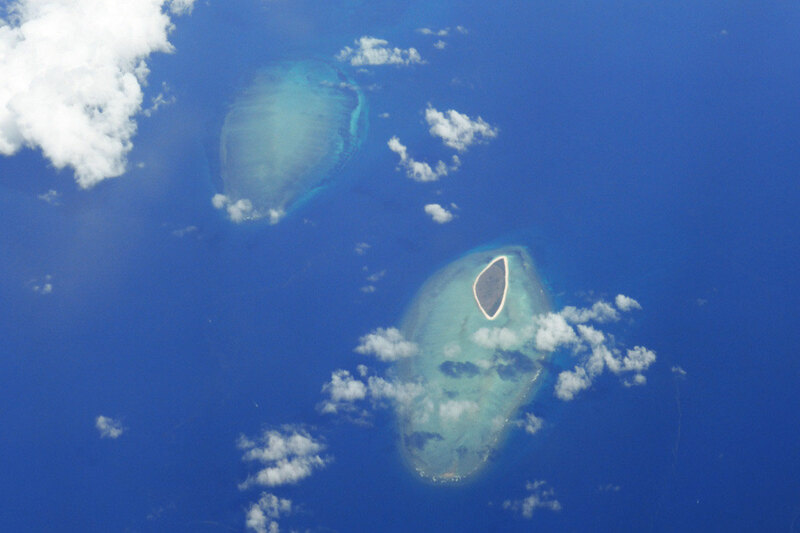 The edges of many of the individual atolls, particularly isolated ones, become compacted by the waves to a hard pavement, and the interior dies off and forms a lagoon. Eventually, the tide breaks through somewhere along the pavement rim and the ebb and flow of water in and out of the lagoon draws out the sediment, leaving a deep natural harbour. The process is underway on this atoll. You can see the final outcome in this picture; if you look carefully, you can see a large cargo vessel sailing by, which gives you an idea of the scale of the atoll. Flying over the beautiful Great Barrier Reef on the way to Seoul was a marvellous experience!